It completely depends where you live. Since fleas don’t know how to read calendars they 100% rely on environmental conditions. 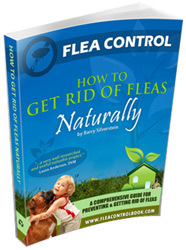 Fleas typically thrive in hot and humid climates. They either go dormant or do not exist in dry, cold climates. I once lived in Northern California at an elevation of about 6,500 feet and there were no fleas or ticks. I’m not sure if it was the elevation or the low humidity, but it was a pet paradise. On the other hand, here in the south-eastern United States, fleas can drive you mad unless you have a strategy for dealing with them. The season here in western North Carolina runs from about May to November. You will be ahead of the game to begin treatments about one month earlier than the first hatching.